Hal Kempfer is the CEO and Founder of KIPP, Knowledge and Intelligence Program Professionals Inc. in Long Beach, California. Hal is a senior instructor and course developer for the Terrorism Liaison Officer courses, Infrastructure Liaison Officer (InfraGard) course, Al Qaeda Doctrine (AQD) seminar, Human Skills workshop, Pre-Incident Indicator workshop, and a variety of other courses, workshops, seminars and Homeland Security exercises. Widely held as a seasoned instructor in areas of homeland security, terrorism and intelligence, Hal and his firm have supported such notable organizations as the Naval Postgraduate School, U.S. Pacific Command’s Joint Task Force Homeland Defense, the National Guard’s National Interagency Civil-Military Institute and California Specialized Training Institute. He has been involved in terrorism issues in the military and civilian sectors for almost a quarter century. Hal Kempfer – KIPP IntelligenceA military veteran of Operation’s Enduring Freedom, Iraqi Freedom, Cuba-Haiti Crisis of ’94, Desert Shield/Storm, the Cold War and the “War on Drugs,” he is a retired Marine Reserve Lt Colonel with multiple tours involving multi-jurisdictional and interagency intelligence operations and support, particularly tied to threats posed by transnational networked organizations like modern terrorists. A former Director of Intelligence (G/J-2) for the 1st Marine Expeditionary Brigade and CENTCOM’s Combined/Joint Task Force Consequence Management, he was also a former Director of a joint/interagency fusion center (the JRIC) at Camp Pendleton, California, and former senior analyst, regional coordinator/executive officer for military intelligence support to the Los Angeles High Intensity Drug Trafficking Area (HIDTA). 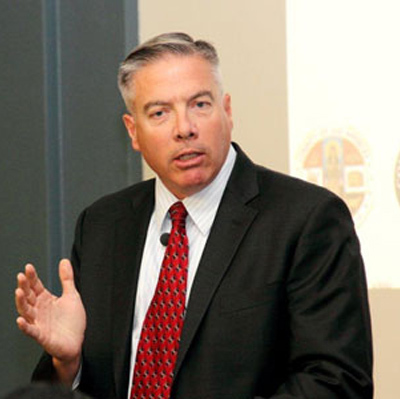 Hal is a featured expert on KABC-7 television news and 89.3 FM National Public Radio on military affairs, intelligence and terrorism, and is a frequent speaker, panelist or facilitator for topically related events in Southern California and around the world. He holds a Master’s degree from Thunderbird School of Global Management, a Bachelor’s degree from Willamette University, and is a graduate of the Army’s Command and General Staff College, the Marine Corps’ Amphibious Warfare School and completed all academic curriculum of the Air War College, holding military officer specialties in intelligence, amphibious reconnaissance, infantry and engineering. Copyright 2019 Constant Associates, Inc. All rights reserved.